Hopes are high this week, and for good reason! The two most beneficial planets of all are bringing positivity your way... Read all about it! 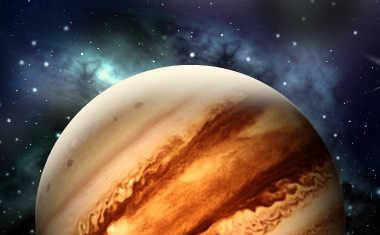 Jupiter, the planet of expansion and optimism, turns direct on Monday after having been retrograde for several months. Shoot for the Moon and land among the stars! As a matter of fact, this week happens to be the MOST supportive week for love in a very long time. 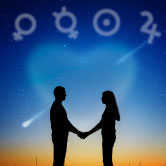 Venus is sextile Neptune on Monday, adding sublime romantic potential to the mix. The spiritual connection between you and your lover will be high. See the potential of your partnership this week with a Relationship Potentials Tarot reading! On Tuesday, Venus is trine Jupiter and then on Friday, Venus is trine Pluto. Love is big, bold, intense and beautifully transformative. If you've been considering giving an ex a second chance, this is the week to have at it. Ready to move forward with your current sweetheart? Don't let Mercury Retrograde distract you. The aspects of love are too strong to waste! 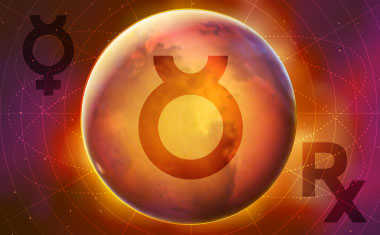 On Thursday, Mercury is trine Pluto, and on Friday will conjunct Venus. As you can see, there is a major theme connected to communication resolution between you and a powerful person in your life, or your lover.